Every player wants to win the championship. Professional athletes stay in shape during the off-season but a championship campaign begins with training camp. After a few weeks, preseason begins. Here the players get back into the groove of competing. While everyone wants to win the real purpose of preseason games is to evaluate the ability of each player to execute both personally and with the team. Some players won’t make the team. In the end, the manager puts the best team he can on the field with the intention of winning the championship at the end of the season. Championships are often won or lost before the season begins. It is often the discipline each team member has during off-season, training camp, and preseason that makes all the difference. What does this have to do with our personal success next year? Everything. More than half of all people in the world look at New Year’s Day as a new beginning. The other half are in denial. A new year is simply that, “new”. That’s where trouble begins. 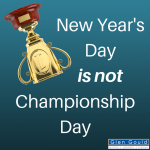 We approach New Year’s Day as Championship Day. It’s as if we suddenly are thrown into the biggest game of our lives. And the bad news? We prepared for the big game by doing everything we no longer want to do. Take a professional baseball player and have him practice missing the ball for an extended period of time and it will take him a while to get back to hitting the ball at all. It’s the same for you and me. We’ve been practicing all the wrong skills. We desire something better. So we set New Year’s Resolutions or goals. Sadly, most of us will fail. Not because we didn’t earnestly desire or genuinely try, but because we prepared poorly in the off-season (aka last year). So let’s take a new approach this year. 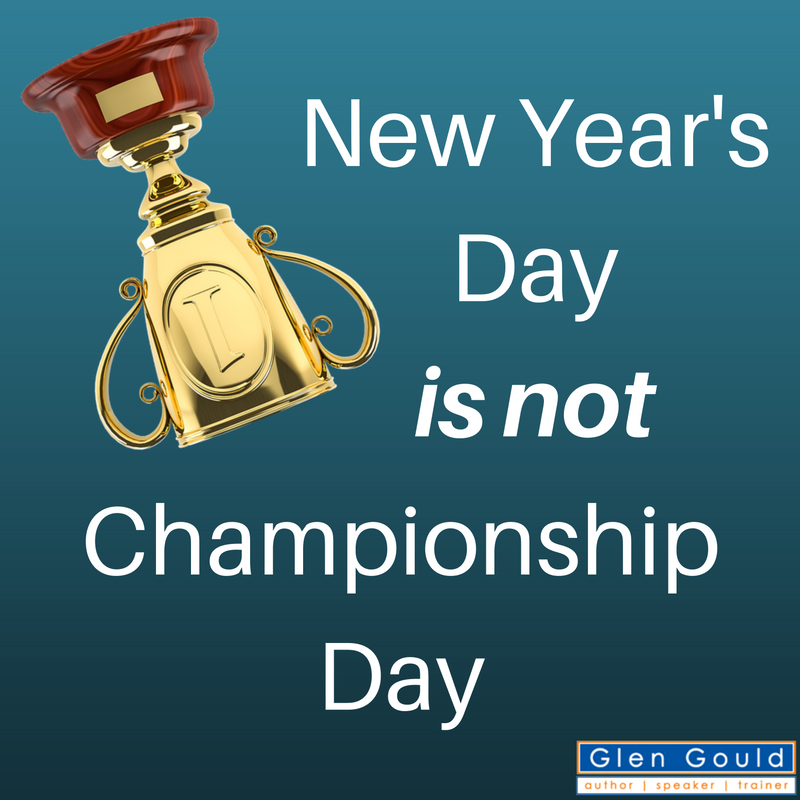 Let New Year’s Day be the beginning of a winning campaign. Let’s bring our best discipline but be aware we’ve been enjoying the “off-season” for a while now. We’re going to make some mistakes, engage in some old behaviors, and yes, we’ll even fail. But remain diligent and disciplined. When we fail, begin again with the knowledge we gained in failure. Examine what caused the failure and endeavor to avoid those circumstances next time. In the end, we may find that some players (our new goals) won’t make the team. We just might find that we can win our championship without them. Better still, we may find that goal wasn’t big enough for us. It’s time to put our best team on the field and begin our winning campaign. New Year’s Day shouldn’t be the end. New Year’s Day is by its very nature is the beginning.